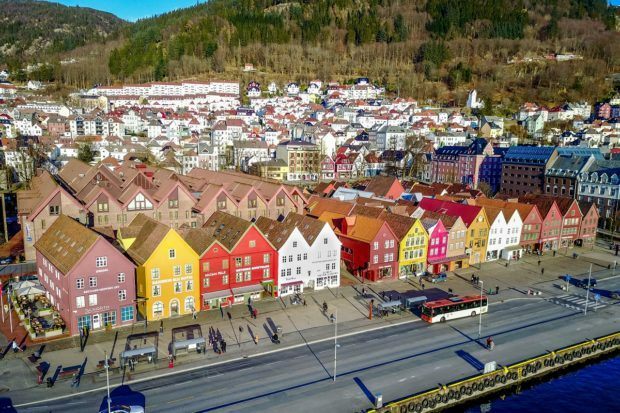 With soaring stave churches, stirring landscapes, medieval history, and plenty of modern attractions to keep you entertained, its no wonder that the popularity of Norway has grown in recent years. 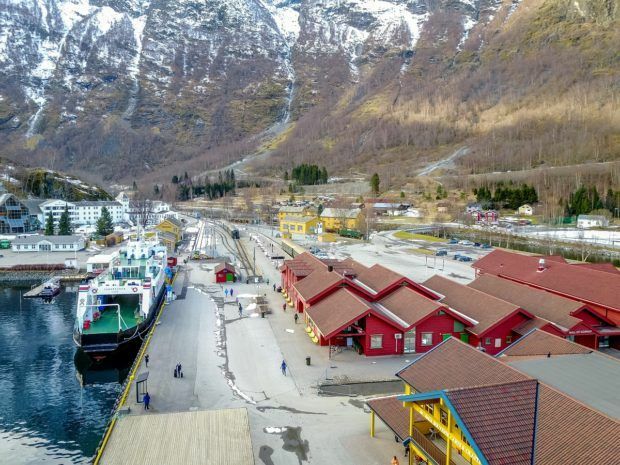 It’s a destination that offers a wide mix of attractions both indoors and outdoors, and everything has a uniquely Norwegian twist. 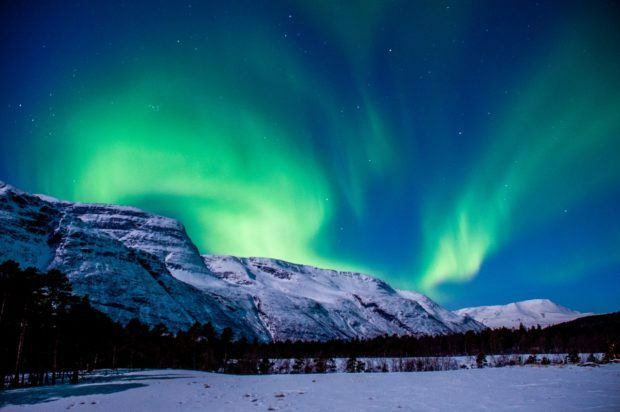 While we tend to seek out beaches more than snow, Norway in winter offers a special appeal we couldn’t turn down—the chance to see the Northern Lights, ice-covered fjords, sled dogs at work, and the glory of Norway’s largest cities. At more than 1500 miles north to south, Norway is a huge country full of an endless array of gorgeous things to see. It’s impossible to experience everything in Norway on a short visit. 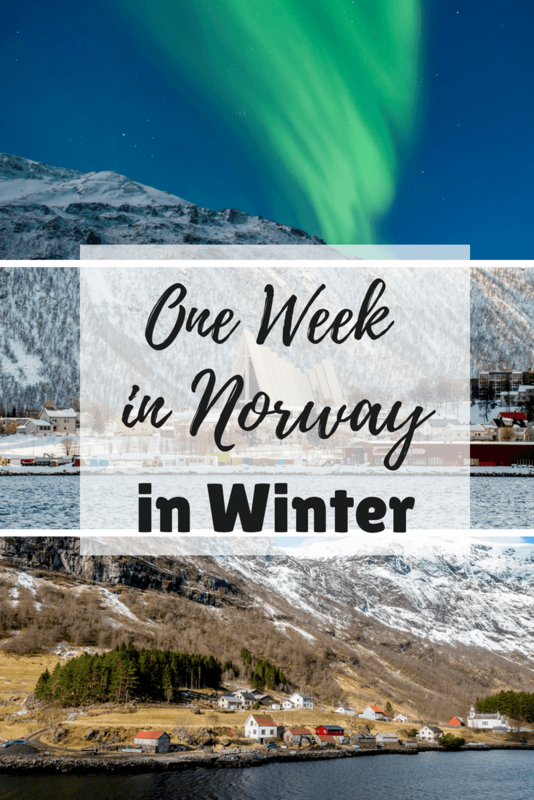 Our goal was to pack in everything possible into our one week in Norway itinerary without feeling extremely rushed. Here’s a look at how we spent our time. One of the most popular ways to do some Norway sightseeing in the southern part of the country is the Norway in a Nutshell tour. 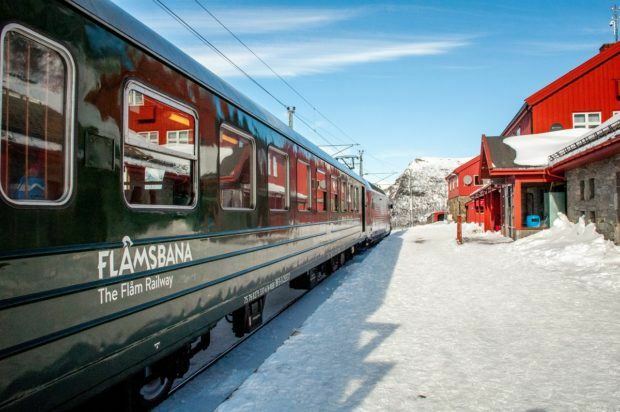 This route takes you from Oslo to Mydral followed by one of the most famous train journeys in the world on the historic Flam railway. From Flam, you continue on to an amazing ferry journey through the fjords, ultimately ending in Bergen (more on this second leg in day 2 below). 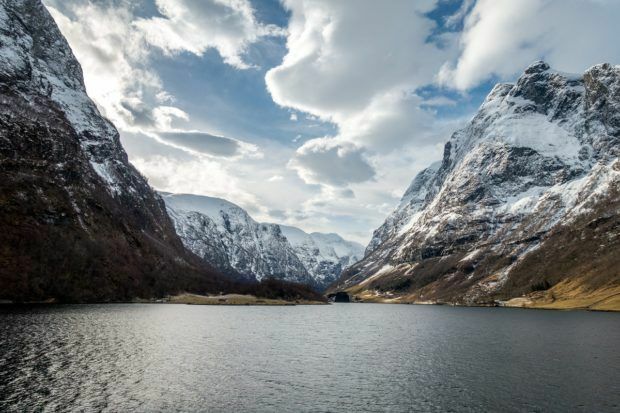 Because the entire route from Oslo to Bergen is more than 12 hours—and much would be in the dark in the winter—we opted to break it up over two days. We’ve written in much more detail about how to plan your own Norway in a Nutshell trip here. On the first day, the train left Oslo at 8:25am headed for Myrdal. The journey to Myrdal was pretty but simple countryside until we approached Flam. If you’re tired from the early morning start or jetlag (or both), you can nap for a couple of hours without missing anything special. As we approached Myrdal, the scenery began to shift. Bright red houses appeared by lakes, the terrain became more mountainous. As we traveled, we spotted snowmobilers and skiers, some even zooming along with kites strapped to their backs to catch the wind. After a brief stop at Myrdal, we boarded the Flam railway for the next leg of the trip. This is where the landscape became truly impressive. The Flam Railway, a 12-mile stretch of the Bergen Line, is often called one of the most beautiful train journeys in the world. 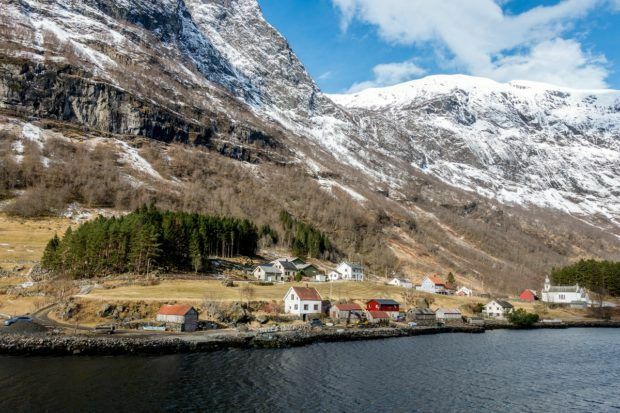 One of the highlights of our Norway itinerary, the route of this old-fashioned steam train winds through 20 tunnels, passed ravines, waterfalls, and tiny villages as you descend nearly 3000 feet to Flam. 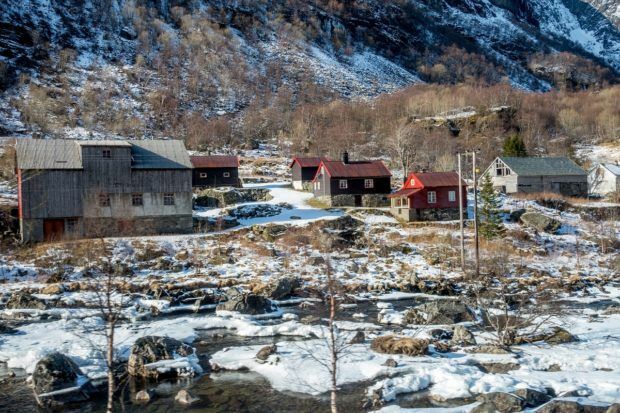 The village of Flam is tiny—just 350 residents—so it’s a very quiet place during the winter in Norway (in the summer, it’s flooded with people). Even when tourists descend upon the area when the train arrives, people have a tendency to spread out. 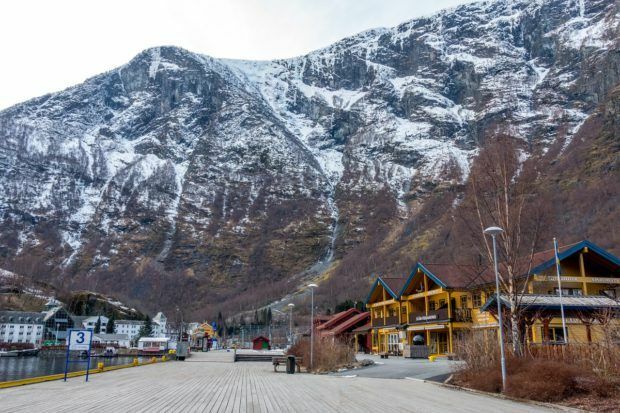 Flam has a couple of restaurants and shops, but the surrounding scenery is the attraction. If people stay overnight, there are options for hiking, snowshoeing, and other outdoor winter activities, but we just wanted to enjoy the serenity. And the beer at Aegir BrewPub, of course. 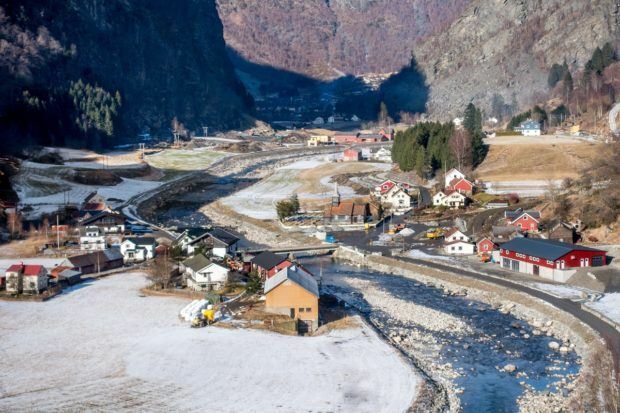 There are two hotel options in Flam which are both popular and can be pricey. In the summer, they book up well in advance. For our winter trip to Norway, we booked about one month in advance. We opted for the Flamsbrygga Hotel, which is attached to the Aegir BrewPub. 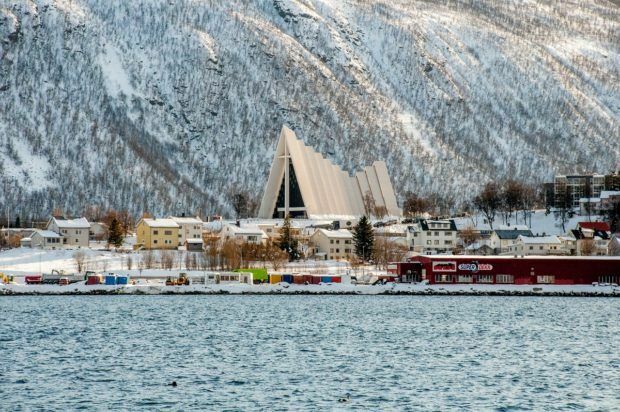 The hotel looks a bit like a stave church and fits in perfectly surrounded by the fjord (Read TripAdvisor reviews | Book a room ). The Fretheim Hotel, a refurbished 1800s manor house, is another good option (Read TripAdvisor reviews | Book a room ). The second part of the Norway in a Nutshell trip to Bergen has even more dramatic scenery. Setting out on the 9:30am ferry from Flam we ventured into Naeroyfjord, one of the longest and deepest fjords in the world. In the winter in Norway the sun is still low on the horizon, so throughout our ferry trip we watched the colors turn from deep greens and blacks to bright blues as the sky lit up. For two hours, we sliced our way across the frigid water as the landscape changed around us. We passed tiny fishing huts splashed in bright colors and watched waterfalls gush their way down the 5000-foot-tall mountains around us. It was everything we could have hoped for. Our visit to the Norway fjords ended in Gudvangen where we stopped for a quick snack before transferring to the bus to Voss. The 75-minute bus ride through the countryside took us by even more splendid houses and had waterfalls that seemed nearly to end at the road’s edge. From Voss, we took the train to Bergen, one of the most popular Norway destinations and our base for the next two days of our 7 days in Norway. Bergen is Norway’s second largest city, but it feels much smaller. 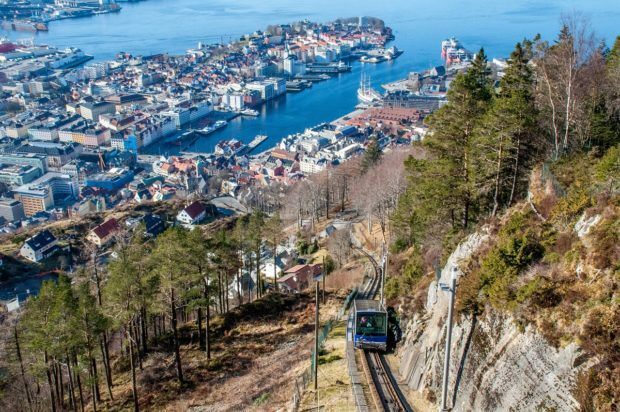 One of the best places to visit in Norway, Bergen has a compact Old Town and excellent public transportation to move around quickly, which makes it easy for visitors to see a lot in a short time. The weather in Bergen can be quite unpredictable, especially in winter, so we were thrilled when the sun cooperated with us almost every moment. We didn’t take it for granted and wanted to make the most of our visit. Our first day in Bergen started with an easy tram ride a couple of miles outside of the city center to the Fantoft Stave Church. 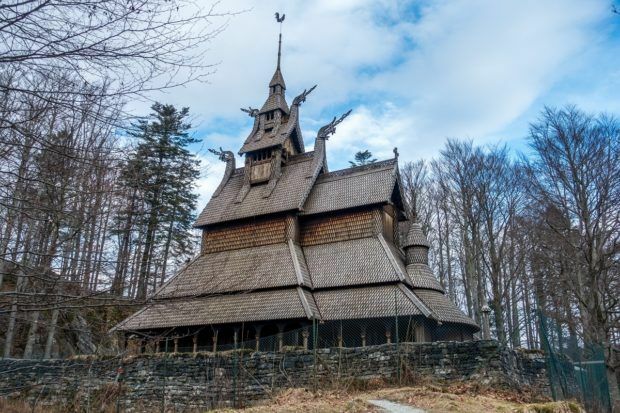 Norway is known for its soaring wooden churches that look like they came straight from a fairy tale, and this one is an excellent example. After the church, we headed back to the harbor to visit Bryggen, a row of merchant houses and shops that have their roots in the Hanseatic League. Since we’re suckers for bright colors and UNESCO World Heritage sites, this fit the bill in every way. Making our own street art tour of the nearby streets capped off day one. Our second day was all about the mountains. First, we took the quick 8-minute ride up Mount Floyen on the Bergen funicular. Then we took full advantage of the sunny weather by riding the cable car to the top of Mount Ulriken. 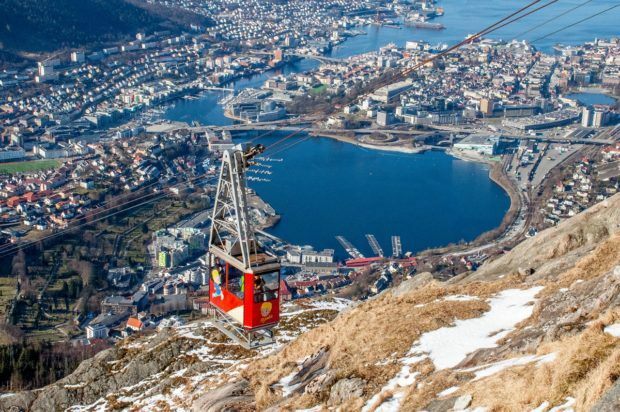 Although the activities sound similar, they provide completely different views of Bergen and the surrounding area. Most people with limited time will probably find the funicular to be the most convenient option. An afternoon of museum hopping and more street art rounded out our day. We’ve written in more detail about our days in beautiful Bergen. In the heart of Bergen’s city center, Thon Hotel Rosenkrantz is the top-rated hotel in Bergen (Read TripAdvisor Reviews | Book a room ). The stylish, modern Hotel No 13 is within easy walking distance of everything (Read TripAdvisor reviews | Book a room ). A fashionable luxury hotel, the Bergen Bors Hotel is located in the city’s stately old stock exchange ( Read TripAdvisor reviews | Book a room ). 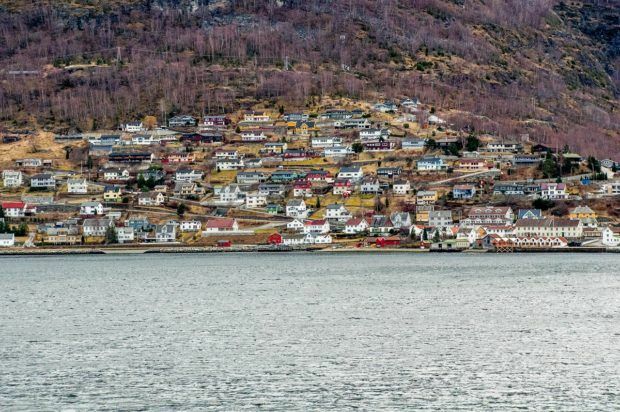 The idea of going above the Arctic Circle in winter brought one word to mind—“cold.” And while it was certainly cold, Tromso was so much more than that. Flying from Bergen to Tromso was easy. We arrived around lunch and spent some time wandering the cute streets. 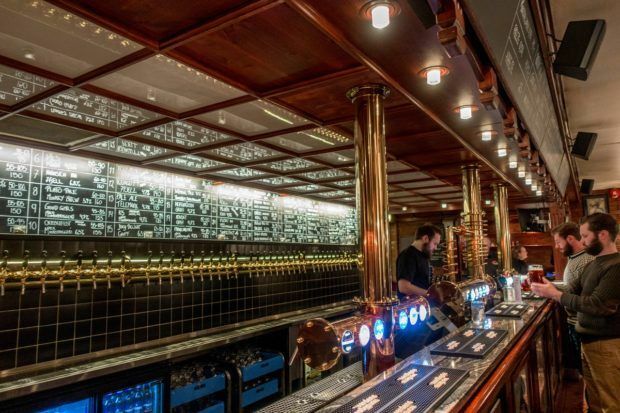 We stopped by Mack, the world’s northernmost brewery, and its adjacent brewpub Olhallen. The brewpub has 67 beers and ciders on tap and was a perfect respite from the winter weather. 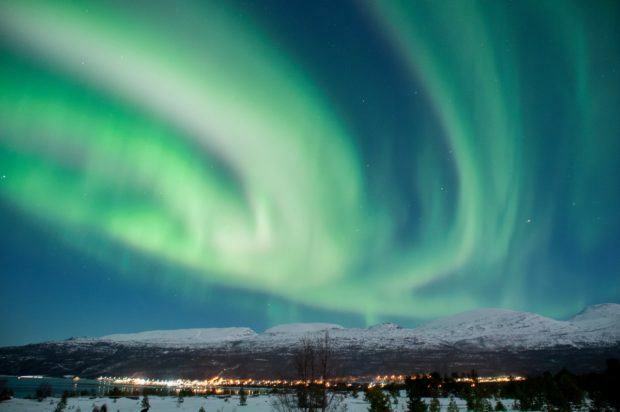 In the evening, we turned our attention to the primary reason for our visit to Tromso—to fulfill Lance’s long-standing dream of seeing the Northern Lights. 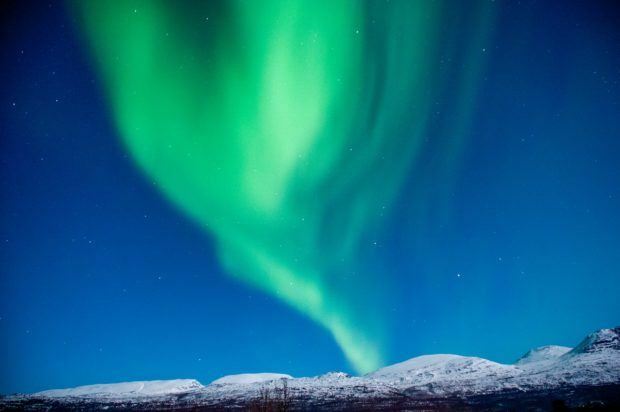 Seeing the Northern Lights is entirely weather-dependent and can be unpredictable. As we planned our Norway trip, we knew there would be a chance of going all the way to Tromso and not seeing the Lights at all. As a result, we allotted two nights of our 1 week in Norway to chasing the Lights to give ourselves an additional chance of see these purple and green flares dance their way across the sky. Our decision to allow two nights in Tromso in our schedule turned out to be the right call. Our visibility the first night was limited, but it gave us an opportunity to practice our photography skills because capturing the Northern Lights takes a little bit of work. We were perfectly prepared for our second night when the Lights unveiled themselves in all their glory. We have written in detail about chasing the Northern Lights, photographing them, and the rest of our experience here. 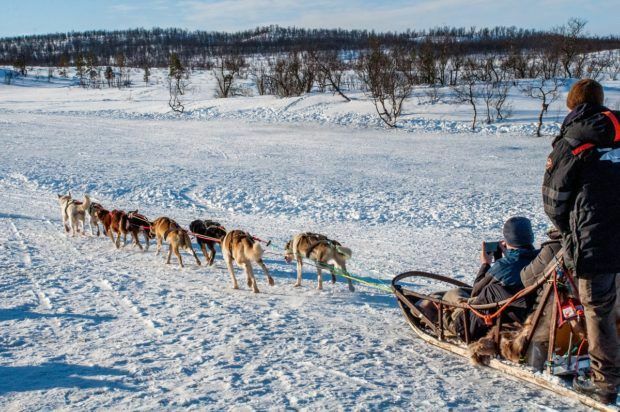 To fill our time in between the Northern Lights excursions (the trips often last from about 7:00pm to 2am), we tried another typical winter activity for northern Norway—dog sledding. Zooming across the frozen plains behind a team of blue-eyed huskies was surreal. Although we were frozen, we loved every minute. With views of the bay and the mountains, the Radisson Blu Hotel, Tromso, is an excellent option (Read TripAdvisor reviews | Book a room ). The Comfort Hotel Xpress has small but expertly designed rooms for good value in a convenient location (Read TripAdvisor reviews | Book a room ). 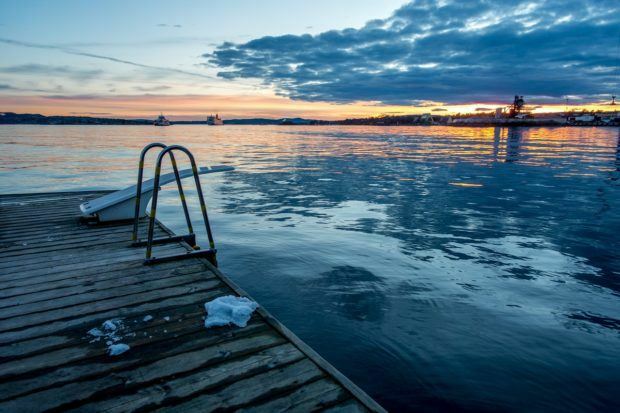 The Scandic Grand Tromso is a great base for your Arctic adventures (Read TripAdvisor reviews | Book a room ). Our last day in Norway began with a flight from Tromso to Olso. We were tired from our wonderfully busy week and two late nights watching the Northern Lights, but we wanted to get in some sightseeing time in the capital city. Oslo’s waterfront has been undergoing a massive redevelopment for years (hence the many cranes in our photos), so we decided that would be the focus of our time in the city. 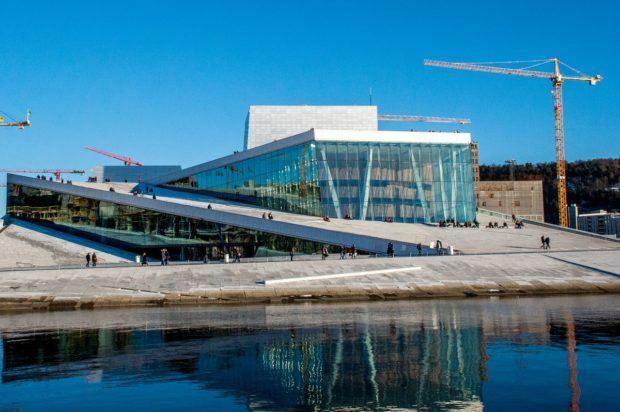 The Opera House is the crown jewel of the new construction and is quickly becoming one of the most iconic modern buildings in Scandinavia. Designed to resemble a glacier, the Opera House is meant to be a work of art—you can even walk on top of it. 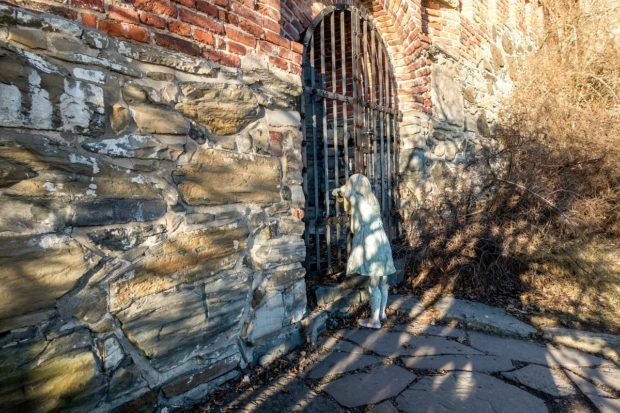 From there we headed to another of the best places to see in Oslo, the Akershus Fortress. 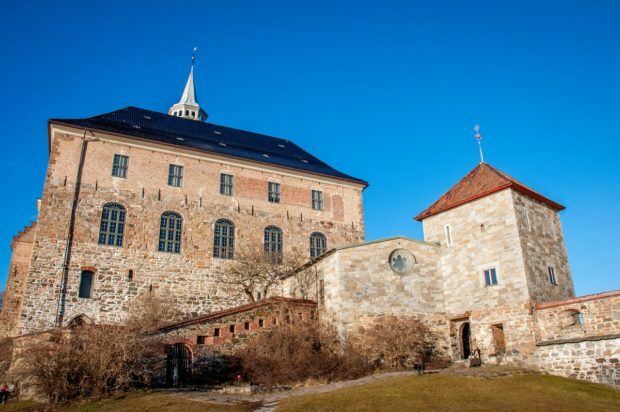 The castle here was completed around 1300 at the time that Norway’s capital moved from Bergen to Oslo. We strolled the grounds, visiting different memorials and watching as the winter afternoon light turned the thick fortress walls golden. After touring the inspiring Nobel Peace Center, we visited Aker Brygge and Tjuvholmen, two areas known for their great restaurants, shops, art installations, and harborside views. There’s even an outdoors “bath,” but with snow still on the ground, we passed on that experience. We’ll have to leave that for our next trip to Norway. 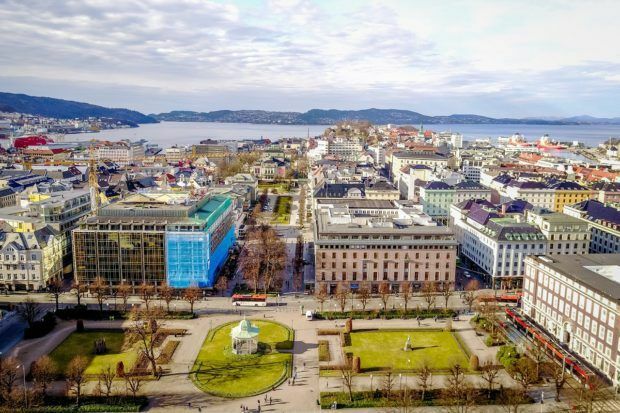 Right by the Opera House and 2 minutes from Oslo’s high street, the Thon Opera Hotel is perfectly located (Read TripAdvisor reviews | Book a room ). The Clarion Collection Hotel Folketeateret is a great option in the city center near shops and some of the city’s best restaurants (Read TripAdvisor reviews | Book a room ). 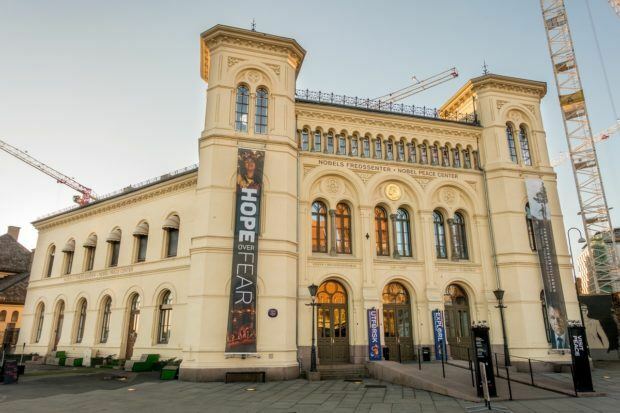 With a great restaurant and wine bar and well-appointed rooms, Hotel Christiania Teater is ideal for a visit to Oslo (Read TripAdvisor reviews | Book a room ). Note: Some links may be affiliate links, which means Travel Addicts may earn a small commission at no additional cost to you.